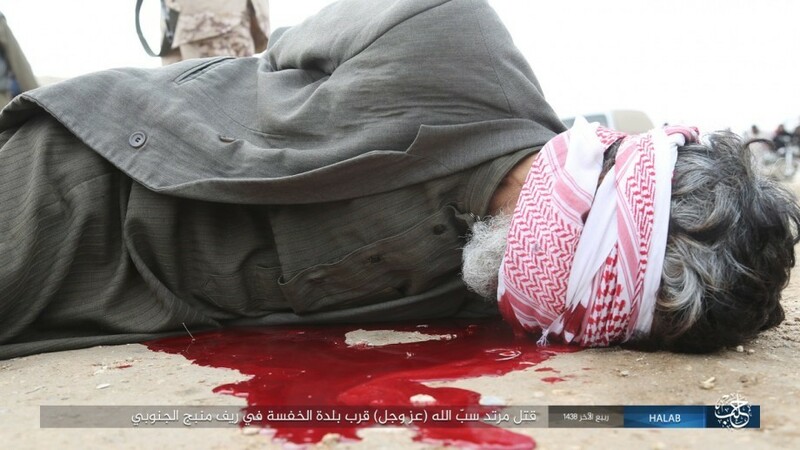 The Islamic State terrorist organization published pictures showing the execution of a Syrian man who was convicted of cursing Allah. 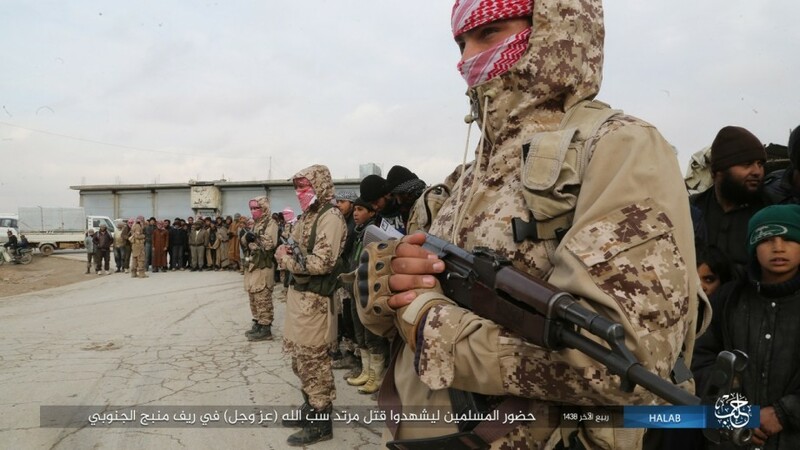 Hundreds of civilians and dozens of IS militants gathered in the city of Alkhafsa, near the Turkish border, to watch the execution, IS said. 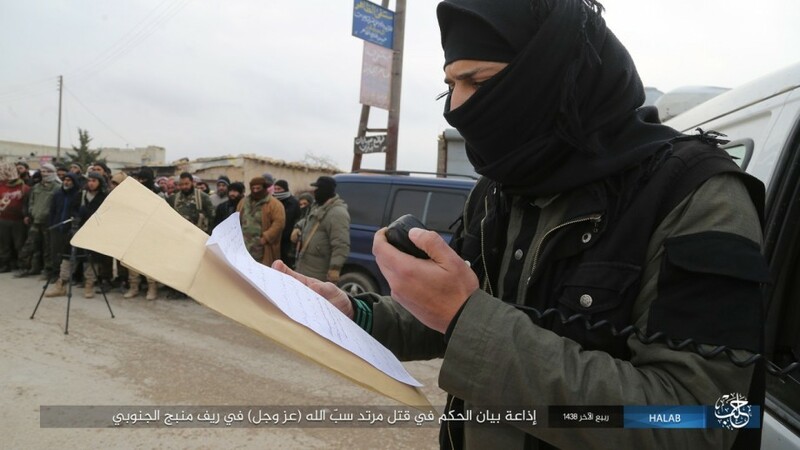 The gory display started with an IS representative reading out the verdict, which was inspired by sharia. Another picture showed militants pointing their guns at him, and a third showed him lying on the ground in a puddle of his own blood. Warning: Some of the following photos contain extremely graphic images. 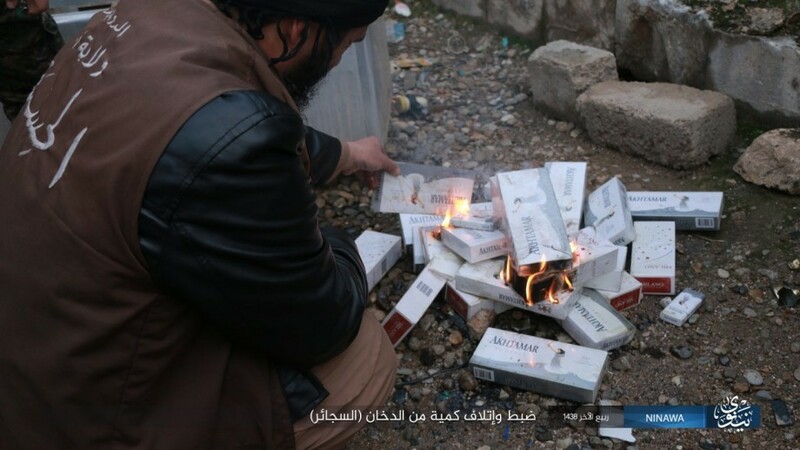 In other pictures, IS depicts its effort to clamp down on cigarette smoking, as part of its campaign against “mind-altering substances.” For the second time in recent days the organization published pictures of its men uncovering stashes of cigarettes in Mosul, Iraq, and setting them ablaze. 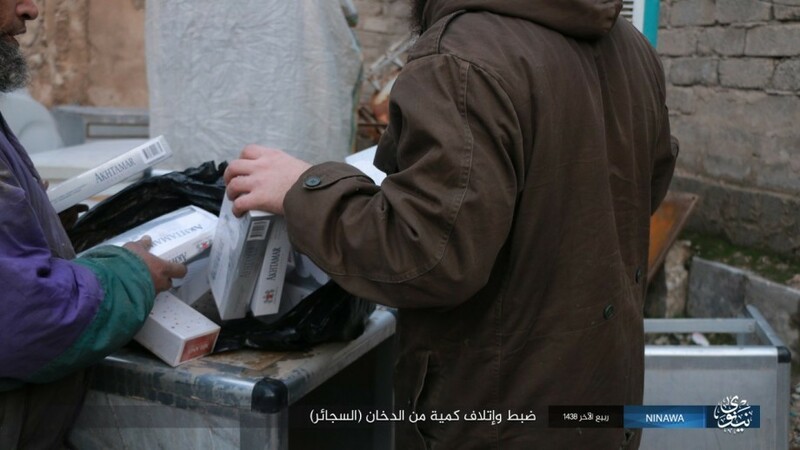 In pro-IS online forums, some say that IS would be better off taxing cigarettes, but others say that destroying them sends a clearer message about their religious piety.